HOT DEALS: Russ Andrews sale brings accessories discounts | What Hi-Fi? The Russ Andrews summer sale is underway, with a range of discounts on its range of hi-fi and home cinema accessories. There are deals to be had on mains products, Kimber cables, stands and racks. For example, the Reference PowerKord is reduced from £264 to £170 for a 1 metre length, a saving of 35%. All mains filters have at least 10% off. 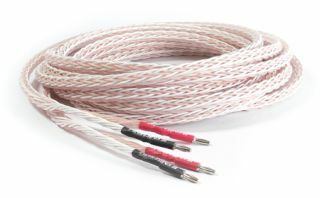 All Kimber Kable's interconnects are also reduced by 10%, while the Kimber 8VS speaker cable (above) is reduced by 25%, bringing it down to £157 for a 2.5 metre pair. The Russ Andrews sale runs until midnight on July 3rd.